You’ve heard that we all have our soulmates, and how beautiful it is to finally meet them, but your true soulmate doesn’t seem to show up. Chances are, there could be something in the way that stands between you and your soulmate. It could be a person. It could be you. But, in most cases, whenever someone is looking for answers of why their soulmate is not showing up in their life it’s THEM that are on their own way. Your soulmate may have not vibrated with you yet because there could be some inner work that you need to do yourself. When you become the best version of yourself, it’s only then that you are able to vibrate in higher frequency and will finally attract your soulmate. Here are 5 steps that will help you attract your Soulmate into your life and after these 5 steps I will tell you one secret. 1. Let go of every weight from the past. Whether you are still holding on to resentments or happy moments you share with someone in your past, you have to let go of these things because they are holding you back. You have difficulty moving on when you are still attached to them. You are unable to perceive options and ideas because the past is clouding your mind. You need to either let go or accept your past so it can stop weighing you down. You need to be pure from past baggage in order to attract your Soulmate into your life! 2. Heal your heart from emotional wounds. It’s difficult to enter into another relationship when you are still hurting emotionally and mentally. With unresolved past issues, you cannot guarantee that you can offer your whole self while not being whole inside. Face your emotional wounds and make efforts to heal them. Write your buried emotions in your journal or speak about them with a counselor. Be there with your emotions, feel them and let them go. That’s how you can purify your heart from emotional wounds. You need to be emotionally clean so you can feel the vibration that your Soulmate is attracted to! 3. Strive to be a better version of yourself. It’s not whether or not you have a flawed personality or character, as much as it is about the actions you take to be a better version of yourself. Even though you are enough as who you are, becoming better is a way of vibing that gives excitement and passion into your life. Stretch yourself to create a room for improvement. Fix what needs to be fixed because it’s not your partner’s business to fix you up. Strive to be kind, calm, honest, and improve yourself in ways that can make you attract the right person. You need to be busy becoming a better version of yourself in order to attract the person who will help you be the best version of yourself! 4. Make your own needs a priority. Take a better care of yourself. Exercise, eat healthy, create healthy boundaries that protect your energy without disrespecting anyone. Make sure that you have time for yourself to have a proper rest when you are tired. Do the things that make you happy, practice the activities that you are inspired to do, learn the things that you are passionate about. You need to be enough by yourself to live as you want so you can open up a room for your Soulmate! 5. Vibrate at a high frequency. Feeling negative, cynical, angry, or short-tempered is putting yourself in a lower vibration frequency. This, in turn, will make you attract people vibrating in the same level. Make efforts to vibrate in a higher frequency level. Strive to do the things that make you happy, peaceful, and joyful. You vibrate at the best level when you are unapologetically yourself. The best way to do this is to follow your purpose, to surround yourself with positive people who inspire you to be yourself and to do the things that you are passionate about. You need to vibe with your true light so your Soulmate can sense you and be attracted! 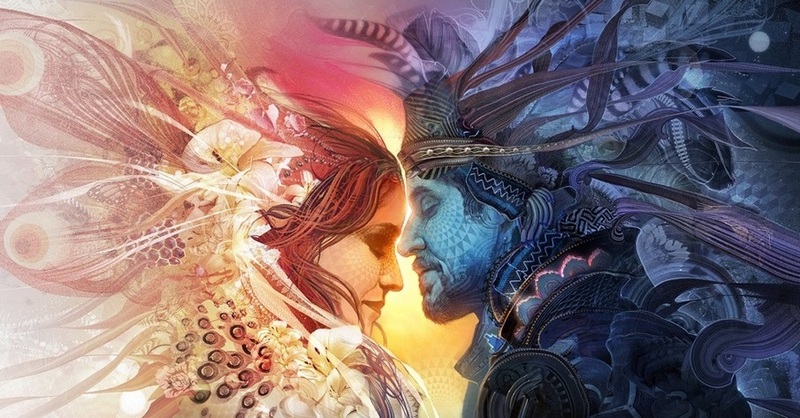 And as I promised you at the beginning of this article I will tell you the KEY secret when it comes to attracting your Soulmate! What’s The KEY to Attract Your Soulmate? The KEY to attract your Soulmate is to follow your purpose without needing a Soulmate! That’s why I said that when someone looks for answers of why their Soulmate is not showing up in their life it is most likely their fault. They are needy. They need their Soulmate in order to be happy and feel whole. When someone needs someone else to be happy and whole they can’t vibe as their true selves with their true light and, hence, their Soulmate can’t sense them so they can be attracted. Follow your purpose so you can emit positive vibes and be yourself so these vibes can beam your true light and your Soulmate will sense you. They can’t resist your light! One more important thing! Because you attract the person who shares the same vibration with you, be the person you wish to find. Specify all the qualities you want to see in your ideal mate and develop those qualities within you. Let your goal be: to become the person you want to meet and spend the rest of your life with.